In this article, readers will be introduced to safe ways to treat bipolar disorder. Learn how to cure BD with medications, psychotherapy, and other well-known methods. Get to know the list of drugs that can cause bipolar disorder, in addition to some of the top triggers of manic or depressive episodes. According to the American Psychiatric Association, bipolar disorder is a lifelong brain disorder that causes extreme mood swings in adults and children alike. The National Institute of Mental Health also uses the terms «manic-depressive illness» or «manic depression» to describe bipolar disorder. cyclothymic disorder – patients have prolonged cycles (roughly two years) of alternating hypomanic and depressive episodes. Bipolar disorder is marked by erratic fluctuations in mood and behavior. Patients, therefore, may face many challenges going about daily life when the disorder isn’t managed properly. The best way to find out if you have bipolar disorder is to get evaluated by a qualified mental health professional. There are however a few telltale signs of bipolar disorder. These are subcategorized into manic episodes and depressive episodes. Manic episodes can be further broken down into two groups, which are mania and hypomania. Mania is considered to be a more serious symptom of bipolar disorder, as patients may experience psychosis. In this event, intervention and hospitalization is typically required. According to the Mayo Clinic, bipolar disorder is normally treated with a combination of medicines and therapies. Bipolar disorder is considered to be a lifelong ailment that has no cure. Doctors, therefore, concentrate on managing the major symptoms of BD for the long-term. Since depressive episodes cause more serious and life-threatening behaviors when compared to manic periods, the first course of treatment is usually antidepressants or SSRIs. 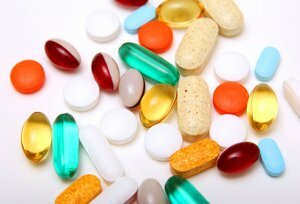 Can antidepressants cause bipolar disorder? Even though antidepressants successfully treat one side of BD, they can also tip the scale and send mania over the edge. To offset the risk, psychiatrists usually supplement them with a mood stabilizing medication such as valproate or carbamazepine, for example. anticonvulsants – administered to relieve pain, prevent seizures, or ease some of the signs of bipolar disorder. What Are SSRIs? SSRIs are the latest classes of antidepressants that are believed to treat the symptoms of bipolar disorder more effectively. How SSRIs Work? Our brains send signals and messages through a wide network of chemical neurotransmitters. To treat bipolar disorder, scientists focus on specific neurotransmitters that control our mood. It’s known as serotonin. Higher levels of serotonin contribute to reduced anxiety and depression. SSRIs essentially prevent serotonin from being absorbed when it’s transported from one neuron to another. Zoloft is a type of SSRI or antidepressant that is approved by the FDA to treat a range of mental disorders, including depression, OCD, PMDD, and more. Zoloft is generally only prescribed for patients with severe bipolar depression. One of the main downsides of treating depression with Zoloft is the possibility that it will trigger manic episodes. As such, patients must be closely observed on a periodic basis while taking the medication. Prozac or fluoxetine is considered to be one of the first SSRIs invented. Since 1987, the antidepressant has been proven to have a long track record of success in treating depressive episodes. 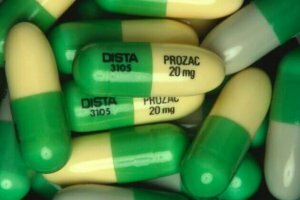 Prozac appears to be better tolerated when compared to other medicines, but the biggest drawback is that it takes a while for the effects to be seen. In 2014, the National Institute for Health and Care Excellence (NICE) updated its clinical guidelines. The UK-based firm stressed that Prozac is the only antidepressant to be prescribed for bipolar disorder. To lower the risks of side effects like mania, Prozac should be combined with an antipsychotic medicine. It’s important to note, however, that other international medical boards use other parameters for treating bipolar disorder. 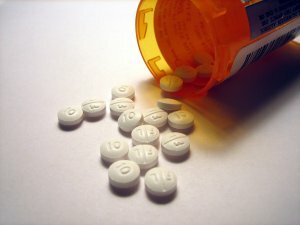 Is Xanax Used for Bipolar Disorder? Xanax or alprazolam is a mild tranquilizer that falls under a class of drugs known as benzodiazepines. Is Xanax used for bipolar disorder? Unlike popular antidepressants, these types of medicines treat the other side of BD, which is mania. Xanax and other benzodiazepines are believed to increase gamma-aminobutyric acid (GABA), a type of chemical neurotransmitter responsible for aiding in rest and relaxation. Xanax can, therefore, help to calm anxiety and panic attacks in inpatient and outpatient settings. Lithium carbonate is one of the most popular treatments for bipolar disorder. It is one of three drugs on the marketplace that has been clinically proven to treat both major symptoms of BD, including mania and depression. The other two are Lamictal and Zyprexa, according to Bipolar Lives. The Texas Medication Algorithm Project (TMAP) suggests using lithium as the first course of treatment for bipolar disorder. Lexapro is authorized by the FDA to treat major depressive disorders. The drug is prescribed in either 5 mg, 10 mg, or 20 mg doses. Lexapro mirrors some of the benefits presented by other types of SSRIs, which include lowering incidences of acute behavioral depression in bipolar patients. It is also recommended for long-term management of the mental disorder. The drug is believed to alter how messages are processed by the central nervous system and targeted nerve cells. Lexapro also repairs chemical imbalances in the brain and is moreover used to treat other mental disorders, such as anxiety. Due to the risk of suicidal thoughts, doctors typically wean patients off the drug when it’s deemed appropriate to do so instead of abruptly withdrawing the prescription. The National Alliance of Mental Illness endorses Tegretol or Carbamazepine for treating bipolar disorder. This drug treatment bipolar disorder aids in regulating both severe mania as well as merged episodes of bipolar disorder. Tegretol is classified as both a mood stabilizer and an anticonvulsant all in one. In addition to original Tegretol, the FDA approved extended release hybrids, which feature longer lasting effects. Wellbutrin, or bupropion, is a norepinephrine-dopamine reuptake inhibitor antidepressant used to treat acute depression. The drug isn’t linked to other classes of selective serotonin re-uptake inhibitors. Instead, it is labeled under the aminoketone classes of drugs due to its chemical makeup. Wellbutrin was deemed to be effective for treating major depressive disorders following a series of controlled inpatient and outpatient clinical studies. Researchers concluded that it was effective for treating the hallmarks of depressive episodes, including suicidal thoughts, the inability to focus, and feelings of sadness. Lyrica is a new emerging anticonvulsant used to regulate mood and offset manic episodes that may be triggered by antidepressants. It is therefore used in conjunction with a SSRI, in most cases, to manage both major symptoms of bipolar disorder. Lyrica works much like a sedative by curtailing hyperactivity in the brain. Lyrica may also be prescribed as a singular treatment or combined with lithium carbonate. 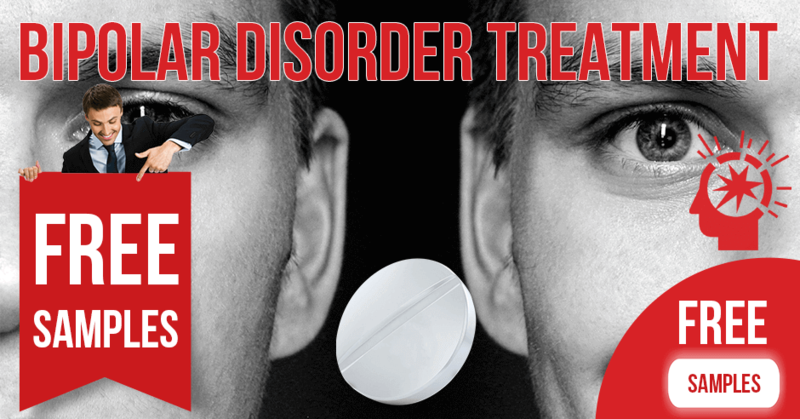 In the United States, Lyrica isn’t conventionally used for the managing bipolar disorder. The FDA’s preliminary indication for Lyrica is for the treatment of partial seizures and pain. Nevertheless, Lyrica is reportedly a more popular off-label treatment in Europe, where it is used in conjunction with other BD drugs. It is typically prescribed for BD patients who have had a negative reaction to traditional BD treatment plans. ECT, which is short for electroconvulsive or electroshock therapy, is usually used as a last resort for treating bipolar disorder when conventional medicines don’t work for acute mania or depression. In particular, ECT is used when patients have unrelenting suicidal thoughts and are considered to be a danger to themselves. The procedure is done under general anesthesia as residential patients have an electric shock administered over the scalp. Even though ECT is the quickest way to alleviate severe depression or mania, it provides only short-term relief. The American Psychological Association recommends psychotherapy as a critical component of any bipolar disorder treatment plan. In this therapy, patients collaborate with a group of specialists to help alter thought patterns – for the better. 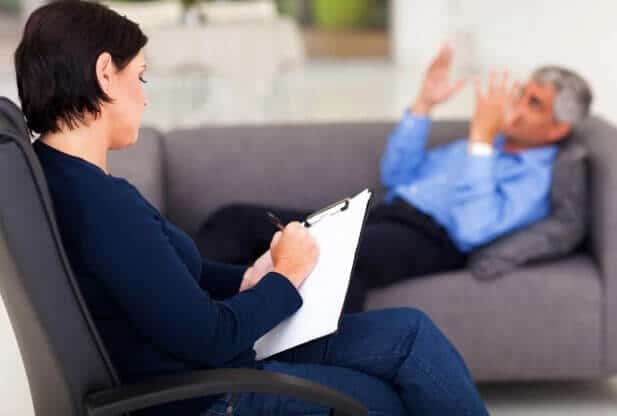 Psychotherapy, in theory, helps patients to cope with major life changes and eliminate negative self-talk which is often associated with major depressive episodes. light therapy – in this treatment, a light box is utilized to replicate natural lighting during months where sad or seasonal affective disorder is most prevalent. Medical doctor, Jim Haggerty of Psych Central regularly educates interested readers about mental health issues. In a recent article, he mentioned that even though there’s no clinical evidence demonstrating vitamins’ efficacy in treating bipolar disorder, these supplements help with alleviating the symptoms of BD. Some of the best ones to try include vitamin A, B-1, B-6, B-12, D and E. Medical research shows that these vitamins help to regulate mood, including anxiety and depression. The added benefit is that vitamins, in general, promote good health. Homeopathy is defined as an unconventional healing intervention, which uses diluted natural supplements to treat certain diseases. It embraces a holistic approach to healing and sources remedies that are already present in nature – from plant and animal life. Though seemingly eccentric, homeopathy has been recognized by the FDA as an effective method for treating various diseases. Homeopathic therapists first analyze the patient’s mental, physical, and emotional health before recommending therapies. Homeopathic treatments are essentially tailored to the patient’s unique symptoms. For example, Aurum Metallicum and Natrum Sulphuricum are typically prescribed for suicidal thoughts while Ignatia Amara is popular for depression. Belladonna is used for aggressive behavior and Veratrum Album alleviates mania – just to name a few. The natural medicines prescribed are intended to stimulate healing from within with zero side effects. There are also a few remedies patients can try at home to help maintain a relatively normal life with BD. Some of these home remedies include getting copious amounts of exercise, drinking plenty of water, and eating a balanced diet. getting creative – get in touch with your creative side by coloring, drawing, listening to music, or planting a garden. 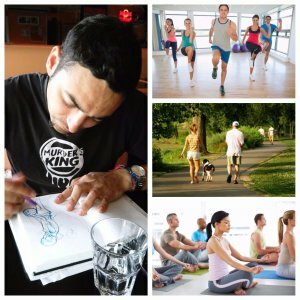 These activities help give you a brand new outlook on life and are especially useful during manic episodes when energy levels are through the roof. valerian root – typically used to relieve feelings of anxiety and insomnia as well as mood disorders. To ensure BD patients aren’t doing more harm than good, a naturopath or homeopathic therapist should be consulted to get advice what herbs need to be incorporated or removed from the diet. Ayurvedic management or medicine is an ancient healing method hailing from India. The practice was established more than 3.000 years ago, and similar to homeopathy, Ayurveda takes a holistic approach to treating varied ailments. While there are no specific directives in the original Ayurveda texts for treating BD, advocates propose using the healing instructions for insanity. The text for insanity states that patients must sustain immunity, strength, and vitality to be healed from within. 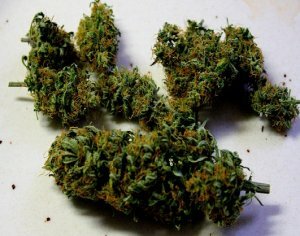 Can Weed Help to Cure Bipolar Disorder? Scholars from a few well-known institutions, including Harvard Medical School, Tufts University, and McLean Hospital recently published a study called «Joint Effects: A Pilot Investigation of the Impact of Bipolar Disorder and Marijuana Use on Cognitive Function and Mood». The findings revealed that bipolar patients experience temporary relief of BD symptoms when they habitually smoke marijuana. A special focus was placed on its positive effects on mood regulation. However, the researchers concluded that more trials were needed and warned that marijuana use can impair cognition. Therefore, potential users must weigh the benefits against the risks. By now we know that there are two sides to bipolar depression. It is also a well-documented phenomenon that antidepressants can cause one version of BD – which is mania. To reduce this risk factor, a mood stabilizer is prescribed with the antidepressant. Depression medicines aren’t the only drugs that can cause symptoms of BD. Other prescription triggers include thyroid medicines, weight loss medicines, appetite inhibitors, or corticosteroids, for example. Can Adderall Induce Bipolar Disorder? Adderall is a stimulant drug used primarily to improve focus and prevent the urge to act on a whim – or low impulse control – all markers of ADHD and ADD. 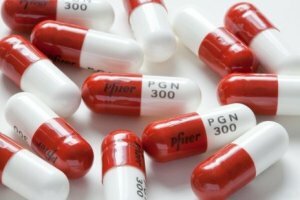 Can Adderall cause bipolar disorder? According to clinical trials, the answer is yes. Like most stimulants used to manage ADD, these drugs are notorious for inducing manic forms of bipolar disorder. Medical professionals do not recommend Adderall as the first course of treatment for bipolar disorder. 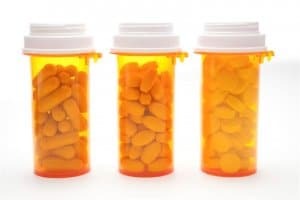 In patients with acute impulse control issues, though, Adderall may be prescribed as a last resort and should always be paired with a mood stabilizer in BD patients. When it comes to finding the right bipolar disorder treatment, there isn’t a magic bullet. Each patient presents symptoms in different ways and every treatment has its own set of pros and cons. One of the best ways to map out an effective treatment plan for BD is to consult a credible psychiatrist. After a diagnosis, patients can facilitate healing by combining pharmacological prescriptions with some of the safe natural remedies discussed in this article. Be sure to follow all guidelines put forth by your medical provider.